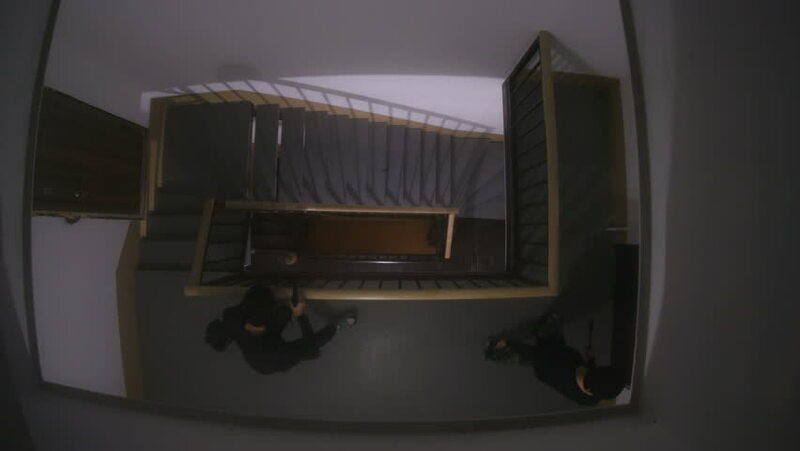 Two bizzare men in black clothes sneaking up on door. Masked men with scrap and gun picking lock. Indoors. Darkness. sd00:411970s: An adolescent boy talks on the phone in his bedroom in the 1970s. hd01:26CIRCA 1955 - Fire extinguishers are shown as well as trains in transit. hd00:08Classic furniture inside a house in Switzerland.